Henneth Annun, Pt. 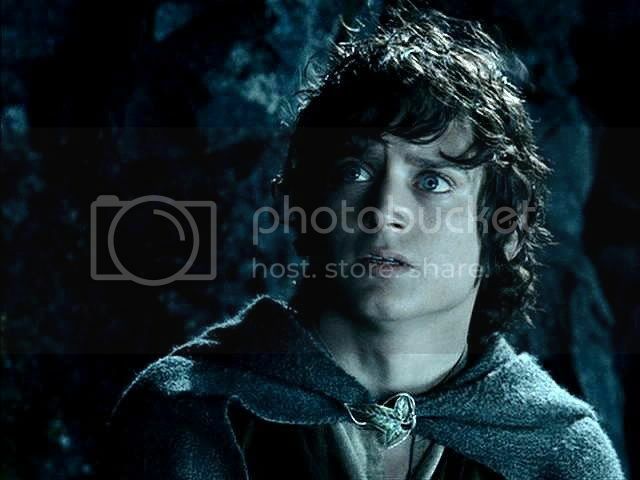 3: Faramir asks Frodo if he should shoot, plus jan-u-wine’s Mí Isilmë. 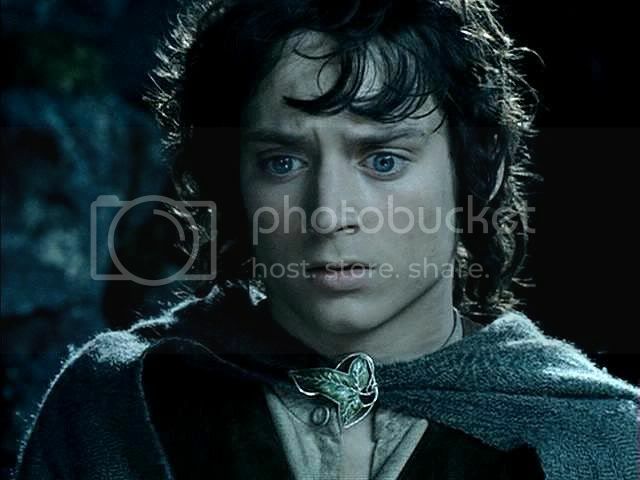 The images from this set of screencaps are my favourites of Frodo in The Two Towers. His beauty in these is astonishing, but his expression is at least as impressive. 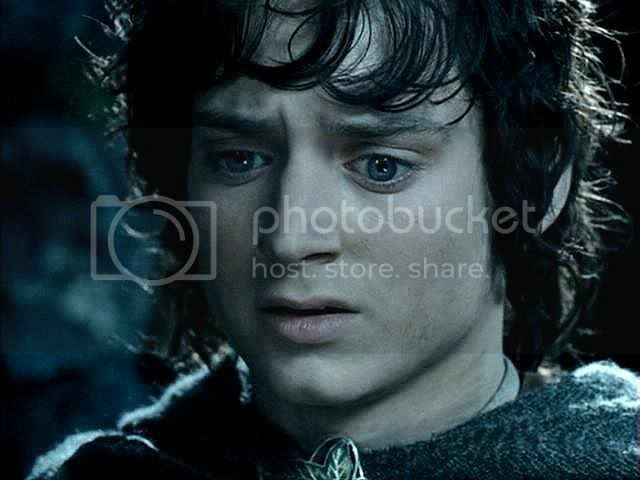 What the filmmakers took away from Frodo, in terms of what he actually said and did in these scenes, was nearly restored in this sequence. The book's account of Frodo's mixed feelings towards Gollum are played out on his face so clearly it is as if his features were visible words speaking the text. 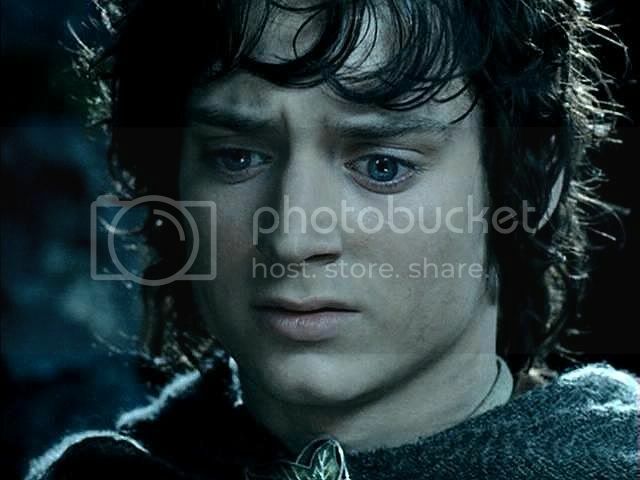 Jan-u-wine's poem inspired by this scene, Mí Isilmë, expresses further what might be Frodo's thoughts and feelings in this scene. The poem is posted below the screencaps. 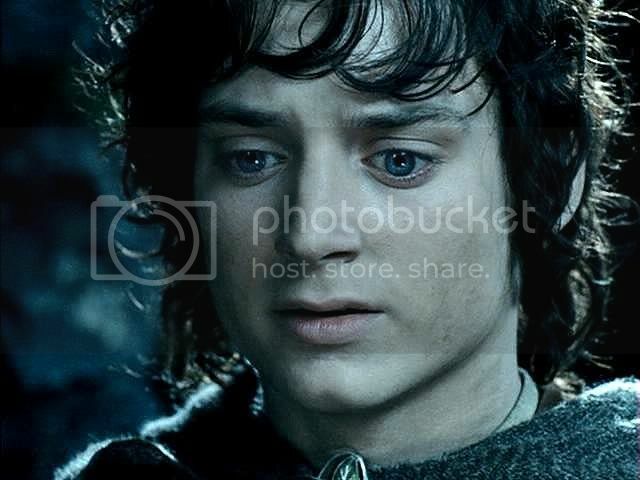 ‘Shall we shoot?’ said Faramir, turning quickly to Frodo. 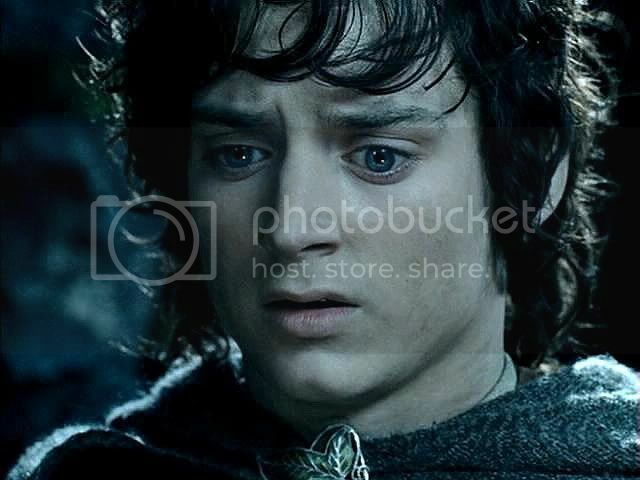 Frodo did not answer for a moment. Then ‘No!’ he said. ‘No! I beg you not to.’ If Sam had dared, he would have said ‘Yes,’ quicker and louder. He could not see, but he guessed well enough from their words what they were looking at. 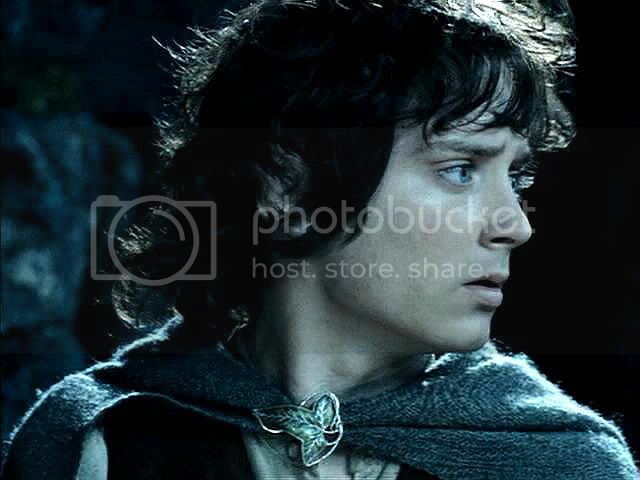 Bilbo was tempted to slay [Gollum] with his sword. 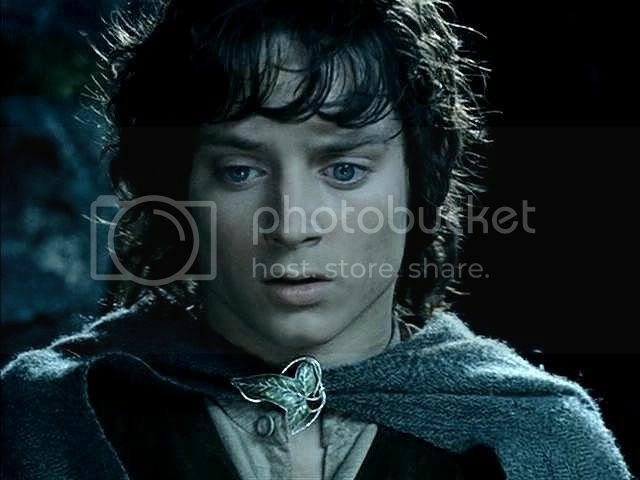 But pity stayed him, and though he kept the ring, in which his only hope lay, he would not use it to help him kill the wretched creature at a disadvantage. This is my sort of hero. 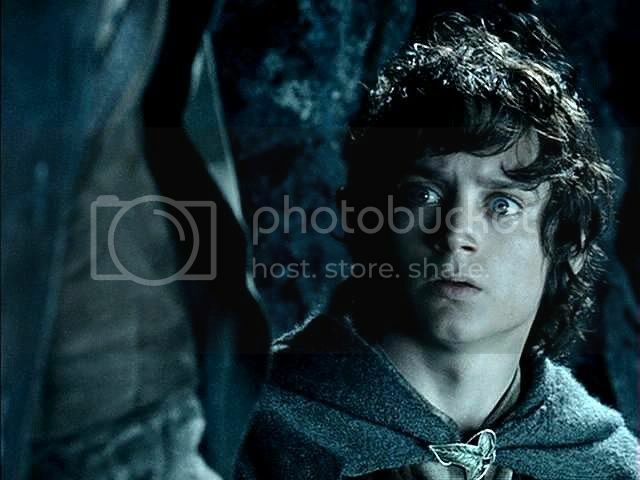 Film Scene: Frodo observes Gollum. 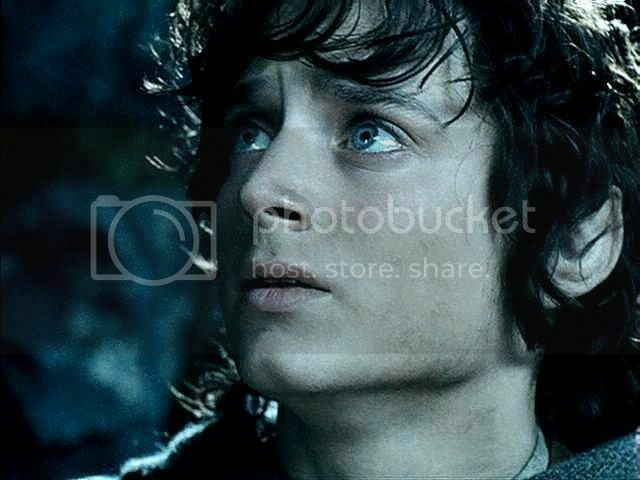 Faramir and Frodo stand on the ledge high above the Forbidden Pool. 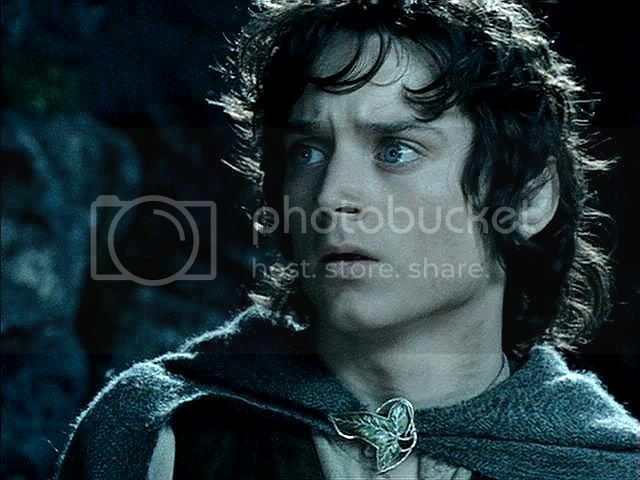 He eyes Frodo keenly as he speaks. 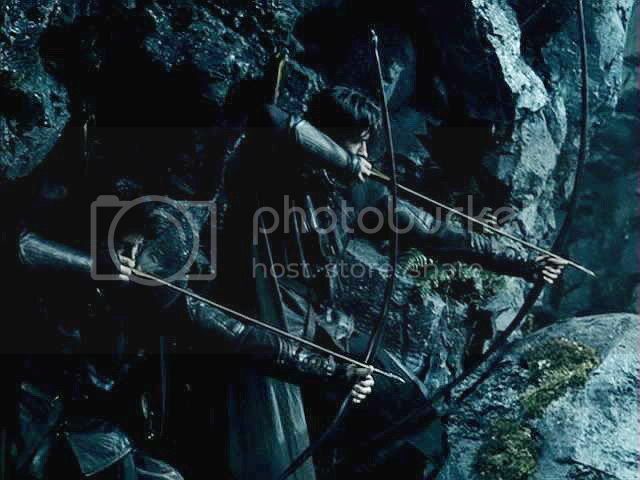 Archers step out from the bushes, ready to shoot. 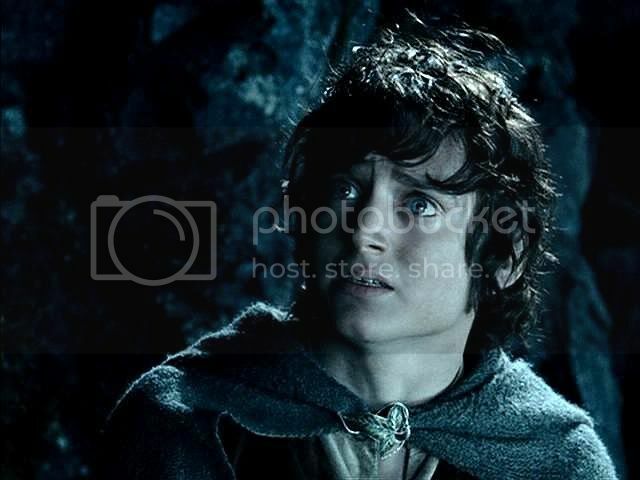 Gollum: (Singing to himself loudly as he whacks a fish on a rock.) The rock and pool is nice and cool, so juicy sweet. Our only wish, to catch a fish, so juicy sweet! within the pool’s dark hunger. make their cold rest beneath my cloak. there is a blessedness to this place…..
the moment their chill beauty gained crystalline voice. This, as much as any other. in lands emptied of all but dread. feel the wind which remembers the Sea upon my cheek. But now there are no dremes. speaking to itself in the pitiable night. Or my Home, so many grievous leagues behind. I give him over to judgement. repay this well-intended deceit with one of his own. And that poem? It really moved me! Yeah, these sets of screencaps are rather like blows, but the blows delivered are by Beauty, each one more deliciously devastating than the last. This sort of abuse I can take! Yes, the poem is soooooooooo good, and so insightful for this scene. 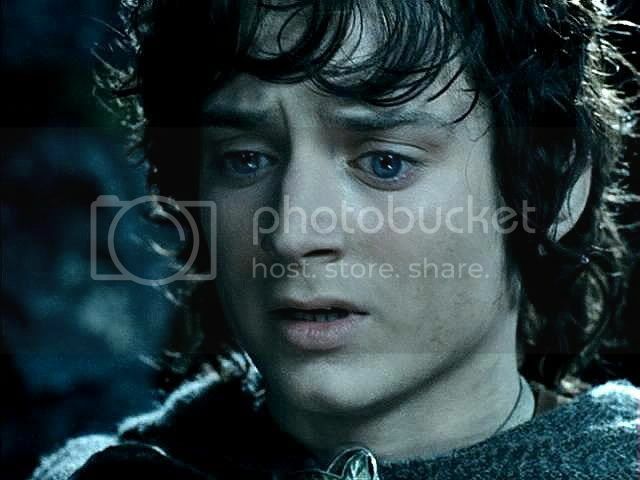 This really was a beautifully shot scene, and that first picture of Frodo just melts my heart. Thanks, Gentlehobbit. Yes, I think her poems open up the visuals to deeper meaning and nuances, but the visuals offer imaginative settings for her poems. They do really go together well. There won't be another Jan poem in the TTT series, but there are some coming in the RotK material. Woo hoo! Yes, poetry is like that. Maybe poems are to prose what screencaps are to the filmed scenes they come from. They stop the action and time and let the viewer/reader enter into them more. They're "simpler" (one image paused, a spare series of words on a page), but they offer the framework for so much, depending on the perceptions of the reader or viewer, resonating and resonating and resonating. Thanks so much for commenting, Mews. You put in an astonishing amount of work on all these entries. I just love them! Thanks for commenting, Bunnie. I'm glad you are enjoying them. 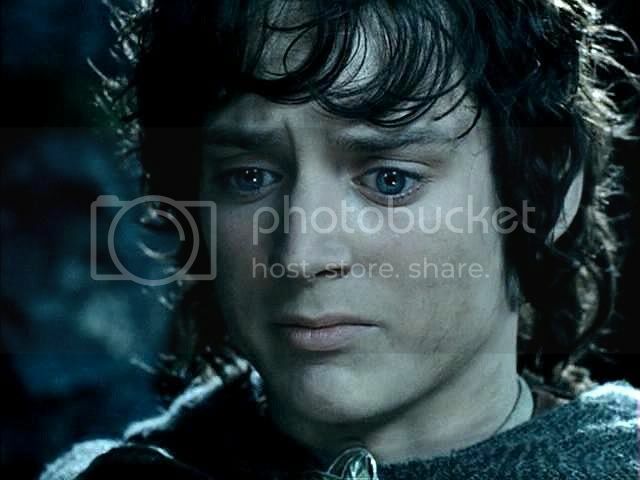 "I would do much for you, Frodo". Film: And how could ANYONE, on Eru's green earth, POSSIBLY resist that gorgeous, pleading, angelic face? Guuuuuuuuuuh. *dies* The Renaissance angel hobbit! 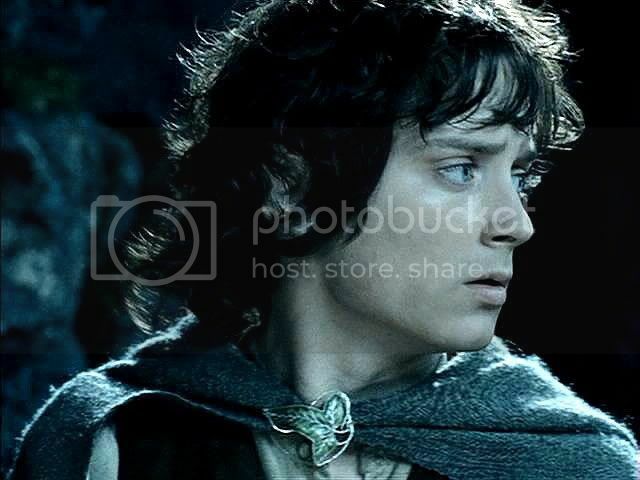 Yes, book Faramir has a character one doesn't come by too often. Not in the film, either. 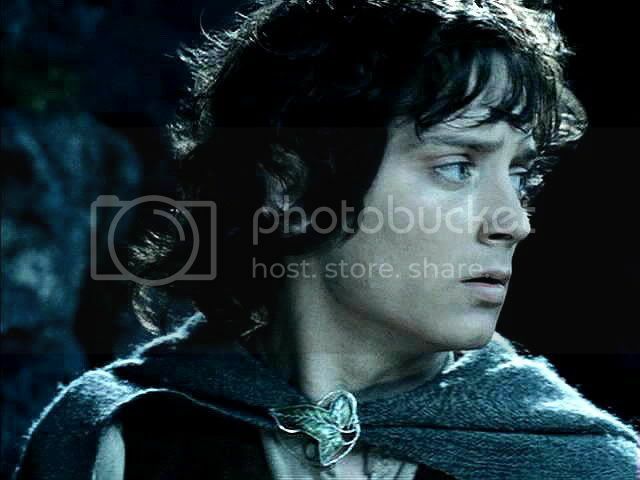 But as I said to your previous comment, he does improve dramatically in the last film. He's been in therapy, or Gandalf has turned up and given him a sound talking-to. 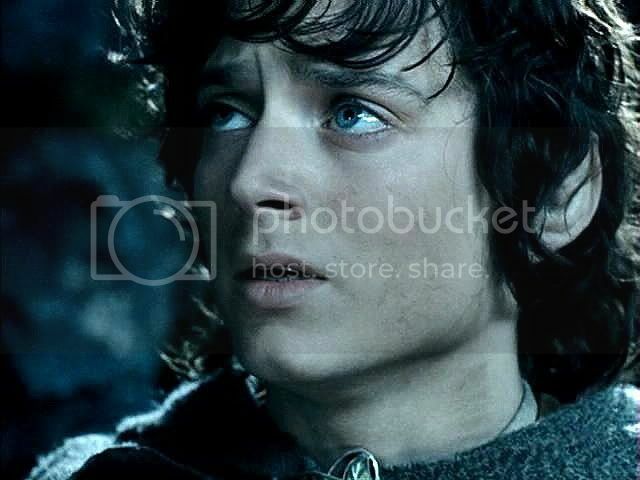 I don't know how Faramir could resist that face, either. 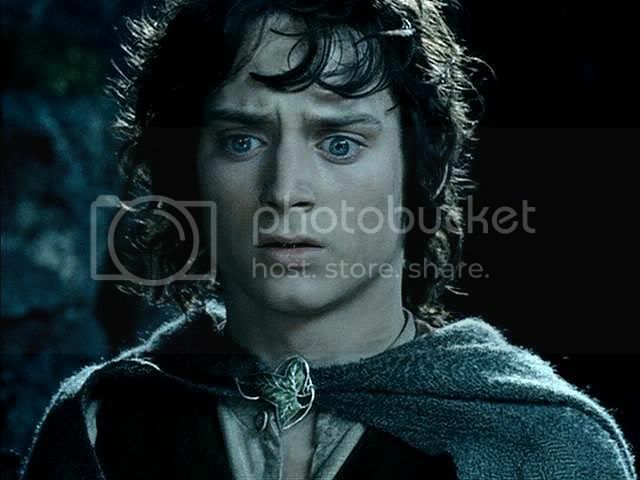 That's someone else, I think: some Faramir look-alike possessing him, who fails to see Frodo's worth and wisdom. Oh, my goodness! Look at that face! These caps are gorgeous Mechling! Are you trying to kill me? The first screen cap - Faramir and Frodo stand on the ledge high above the Forbidden Pool -made me think of art by Gustav Doré. Jan’s poem is simply beautiful. I can almost believe that I am there. I opened the Dore link, Este, and saved many. 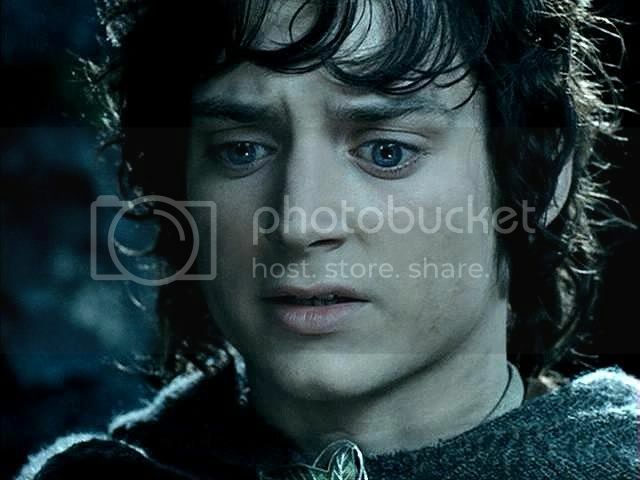 He would have been a great LotR illustrator. 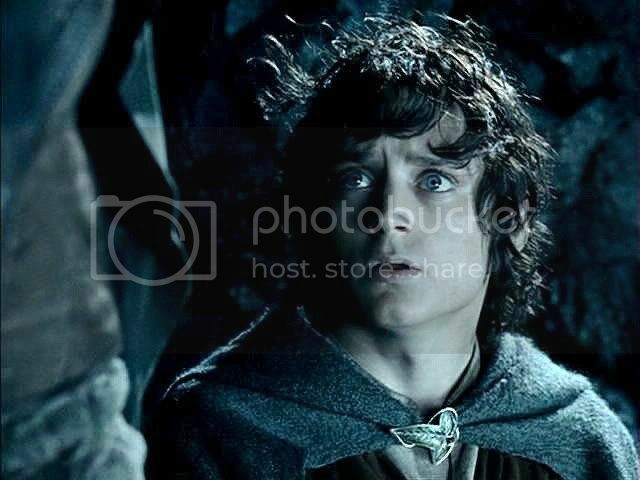 In fact many of the plates reminded me of scenes from the tales of M-E (not just LotR). I should do a post about them one day. Thanks so much for this link--and for the lovely comments. Hey! We're getting this page all wet! This has always been my favourite scene of TTT. The screencaps, oh my those caps are perfect for staring … dreaming. 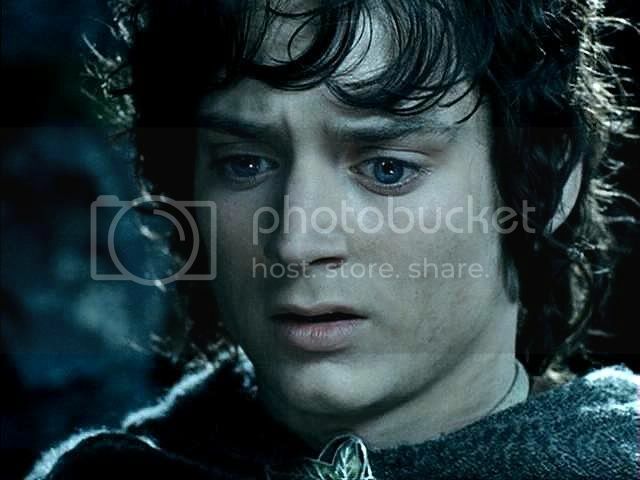 Beautiful Frodo, the expression on his face kills me all the time. I’m melting looking at picture no. 1, 2, 3 … I’m deader than dead now. Your entry you posted before I thought – yes, that’s the best. And now … I am unable to write (it isn’t that easy to write with trembling fingers). 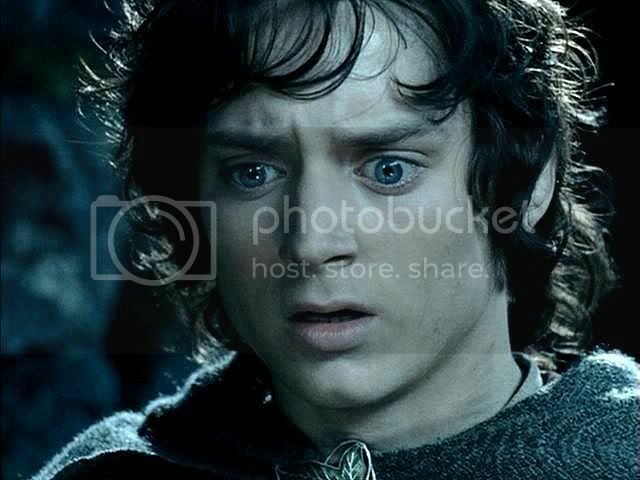 This face, look at the expression on his face. And the poem. Oh my, It’s so very moving. It’s simply Jan-u-wine. Inspiring, touching, heartbreakingly beautiful. The last sentence … the breaker! It mirrors Frodo’s face perfectly. This post, the caps, your comments, the book and movie sequence , Jan’s poem – you are wonderful. I want to say so much more but it seems I lost all vocabulary I’ve learned the last months. Thank you mechtild, thank you Jan-u-wine. Thanks so much, Julchen, for the lovely comment. 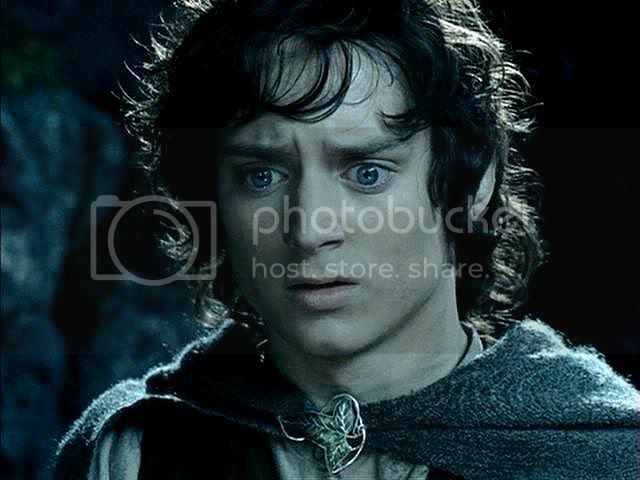 These are some of my favourite images of Frodo in the films, he is so beautiful, so expressive, so feeling--and all at the same time. The lighting is beautiful, setting him off as if he were made for moonlight. And I think Jan's poem expresses Frodo's inner side so well. I am glad you loved it, too. I’m deader than dead now. He *is* breathtakingly, heart-rendingly beautiful in these, I agree.